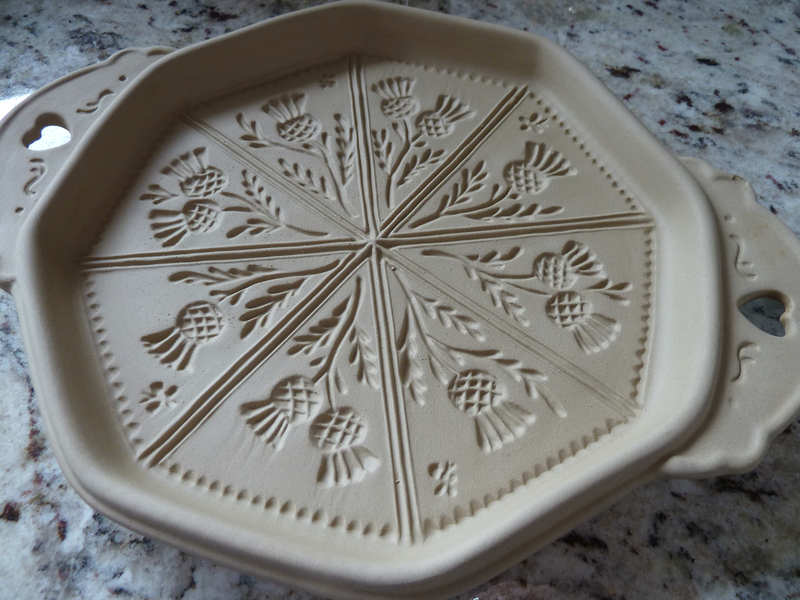 I have had this beautiful Scottish Thistle shortbread pan for about 20 years or so. 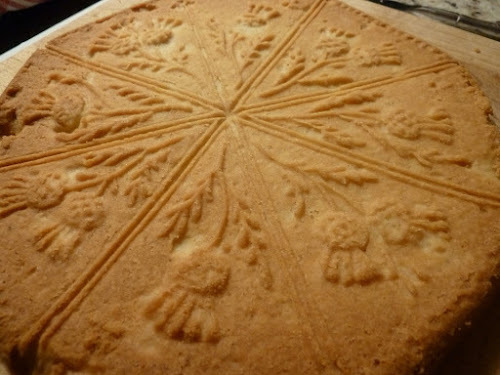 I thought it was classic, gorgeous and would make wonderful shortbread. Until today, I hadn't used it. So it languished in the cupboard and I would admire it when our paths crossed. This week I suddenly felt like making shortbread. I got the decades old pan out. 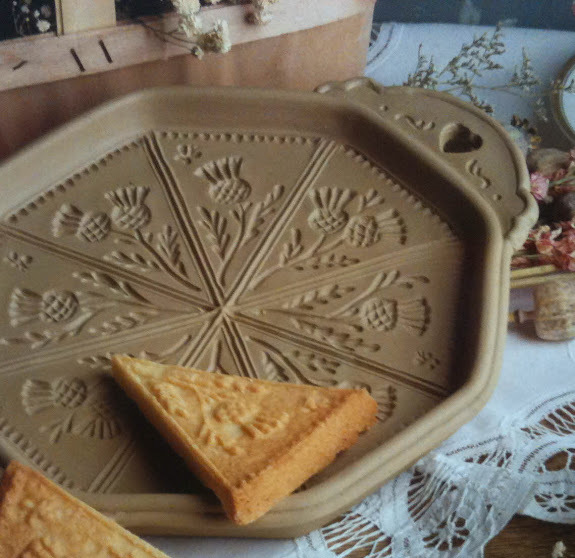 Butter, cane sugar and flour...the ingredients in Shortbread wedges. It turned out perfectly!! Doesn't it look delicious. I gave it an extra few minutes because I like my shortbread a bit on the crunchy side. Now, what took me so long!? Thank you Brenda. It was great fun....and oh my gosh it is delish!! 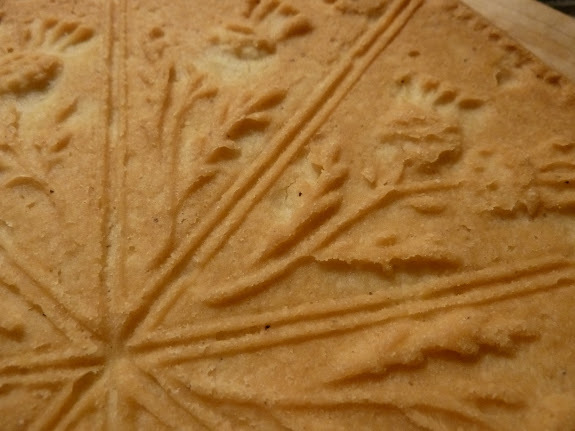 Your shortbread looks so good! Thank you for visiting me from the other side of the country. Thank you Carolyn. I am still reading through all of your blog posts. I love it.